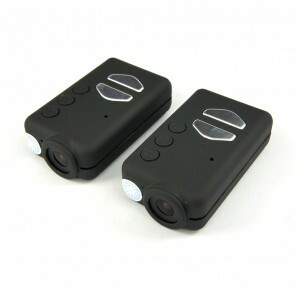 Car Camera Shop only sell the highest quality dash cams to ensure our customers receive absolute peace-of-mind. Our range offers high-quality video recording, and a whole host of other functions, to ensure you're protected in the case of an accident. We live and breathe dash cams, but we appreciate that they're new to many of our customers. That's why we're here to help you and to ensure you're fully satisfied with your purchase and that it continues to deliver peace-of-mind. We love hearing from you, so get in touch and we'll help you in any way possible. Our nationwide mobile dashcam installers will fit your dashcam directly to your car. User manuals, software players, installation guides and latest firmware. We get asked lots of questions, so yours has probably already been answered here. Read our guides if you're unsure how dash cams work or how you'll benefit from one. The Mobius ActionCamera is an all round action camera that come with required settings and accessories to make it the perfect basic dash camera. This includes auto power on/off, loop recording, auto recording, video flip, mute audio, and a range of mounts. It may lack some of the advanced features of other car cameras but the video quality alone is the best out there, and that's what really counts. Our goal is simple, to offer a range of the best quality car cameras to ensure our customers peace of mind in the case of an accident. Based in the south west of England, we're passionate about what we do and the service we deliver. We put our customers at the heart of everything we do and take pride in every single order. Why should I buy a car camera? Is The Thinkware F200 Better Than The Nextbase Duo HD? © 2016 Car Camera Shop. All Rights Reserved. Company Reg: 9000716. Registered in England and Wales.